Mezzo Soprano Florieke Beelen (1987) received several awards. She won four prizes during the International Vocal Competition 2014 in ’s-Hertogenbosch. Among them was the prestigious Arleen Auger Allround Prize for the best allround singer of the competition. During the Belvedere Competition 2015 she won the Jong Talent Prize. Therefore, the Dutch newspaper “NRC” called Florieke: “the rising star”. At the Stenhammar Music Competition in Sweden (June 2016) she won two prizes, one of them was the Stenhammar Prize. In 2011 Florieke graduated with a 10 out of 10 from her bachelor studies at the Utrecht Conservatory with Charlotte Margiono. In August 2014 she graduated with distinction from the Dutch National Opera Academy in Amsterdam and The Hague, where she studied with Charlotte Margiono, Peter Nilsson and Ira Siff. Florieke has appeared as a soloist both in The Netherlands and abroad. On the concert platform she has performed many important works, including ‘The St. Matthew Passion’,‘The St. John Passion’, Mass in B minor & Magnificat (Bach), ‘Magnificat’ (Cui), ‘Requiem’ (Duruflé, Mozart & Saint-Saëns), ‘Dixit Dominus’ ‘Messiah’ (Händel), ‘Stabat Mater’ & ‘Salve Regina’ (Haydn), ‘Stabat Mater’ (Jenkins) ‘Petite Messe Solenelle’ (Rossini), Magnificat (Schubert), ‘Gloria’ & ‘Magnificat’ (Vivaldi) and Messa di Requiem (Verdi). At the age of 25 Florieke became a frequent guest at the Dutch National Opera. Her first role was Linette in ‘L’amour des trois oranges’ (Prokofiev) and thereafter she performed La dame “Comme ci, comme ca” in ‘The Gambler’ (Prokofiev), Modestina in ‘Il viaggio a Reims’ (Rossini) and Ines in ‘Il Trovatore’ (Verdi). At the Nederlandse Reisopera she sang Dorabella in ‘Così fan tutte’ (Mozart) in The Concertgebouw in Amsterdam. Recently she sang Charlotte in ‘Werther’ (Massenet) at Opera South in the Netherlands. 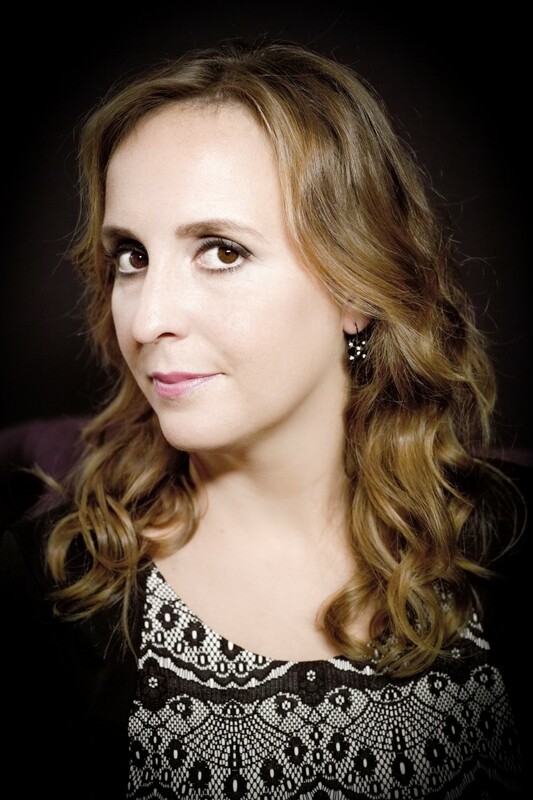 Florieke has performed many other opera roles including ‘Mère Marie’ in ‘Dialogues des Carmelites’ (Poulenc), Romeo in ‘i Capuleti e i Montecchi’ (Bellini), The Neighbour in ‘Mavra’ (Stravinsky), Cherubino in ‘Le nozze di Figaro’ (Mozart), Phaedra by Britten and Ruggiero in ‘Alcina’ (Händel). She had the honour to work with conductors Marc Albrecht, Tomáš Netopil, Stefano Montanari, Richard Egarr, Antony Hermus, Clark Rundell, Arjan Tien, Ed Spanjaard, Etienne Siebens, Kenneth Montgomery and Maurizio Benini,; and with stage directors like Laurent Pelly, Andrea Breth, Damiano Michieletto, Alexander Oliver, Robert Carsen, Lotte de Beer and Allex Ollé (La Fura dels Baus). Florieke has taken part in various masterclasses with artists such as Dame Janet Baker, for her performance of Britten’s Phaedra, Ed Spanjaard, Rudolf Jansen, Nelly Miricioiu, Doris Soffel, Dennis O’Neill, Leontina Vaduva, Jean Philippe Lafont, José van Dam and Christa Ludwig. In the light of the Birthday of Christina Deutekom, Florieke sang together with a.o. Eva-Maria Westbroek and Charlotte Margiono conducted by Ramon Tebar. Recently she also sang at the Gala of the Dutch National Opera the role of Meg Page (Falstaff) and Marcellina (Le nozze di Figaro). Besides her opera and oratorio accomplishments Florieke enjoys performing Lied with her pianist Abigail Richards. Together they won two prizes at the International Vocal Competition 2014. Florieke performed the Wesendoncklieder by Wagner with The Orchestra from Amsterdam conducted by Jacob Slagter; 6 Carmina Alcaei by Dallapiccola with the New Ensemble and Bosnian Voices by Nigel Osborne with the Liverpool Philharmonic Ensemble 10/10. With Introdans Florieke sang Lieder eines fahrenden Gesellen by Mahler with het Gelders Orkest conducted by Otto Tausk. Florieke has also completed a Bachelors in Business Economics and a Masters in Marketing Management.